DAY OF A STRANGER is an intimate portrait of world-renowned Trappist monk, Thomas Merton, during his final years living as a hermit from 1965 to his untimely death in 1968. 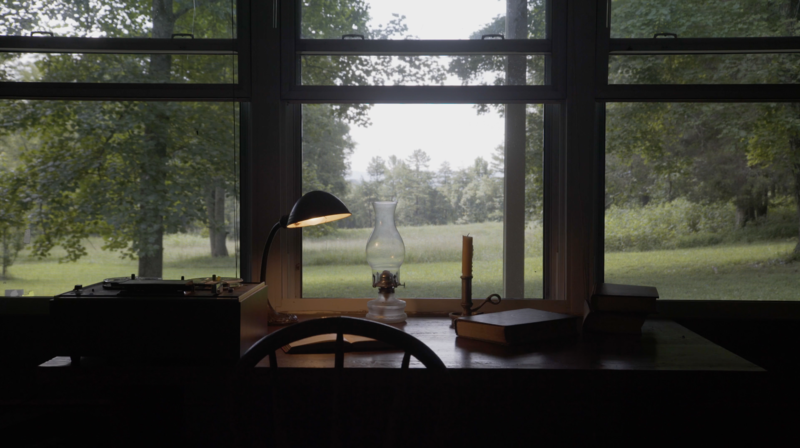 Interweaving meditative images of his hermitage nestled deep in the woods of Kentucky and rare audio recordings he made as a hermit; the film pieces together a first-person narrative of one of the twentieth century’s most brilliant minds. In July of 2018, nearly 50 years after his death, the team traveled to the monastery and hermitage to capture scenes to begin creating the film. Currently, the team is raising support in order to travel back to the hermitage this winter. In May of 1965, the earliest draft of one of Thomas Merton’s most beloved essays was written: Day of a Stranger. The essay was published in Latin America as a response to a journalist’s question about what a typical day in the life was like for Merton in his new hermitage home. Unbeknownst to Merton or the journalist that this would be his final home and “Dia de un Extrano,” (Day of a Stranger) was published in Papeles, a journal from Caracas, Venezuela in July of 1966 (also published in The Hudson Review in the summer of 1967). While working as a therapist I found myself continually feeling burnt out and so far from the artist within. I quit my job to travel to the seventeen Cistercian/Trappist monasteries of the United States—first visiting Thomas Merton’s former Abbey in Kentucky. Because of my work, writing, and photography featuring silence, solitude, and contemplative life—this led to my working on the documentary feature, In Pursuit of Silence, alongside filmmaker and fellow artist, Patrick Shen. 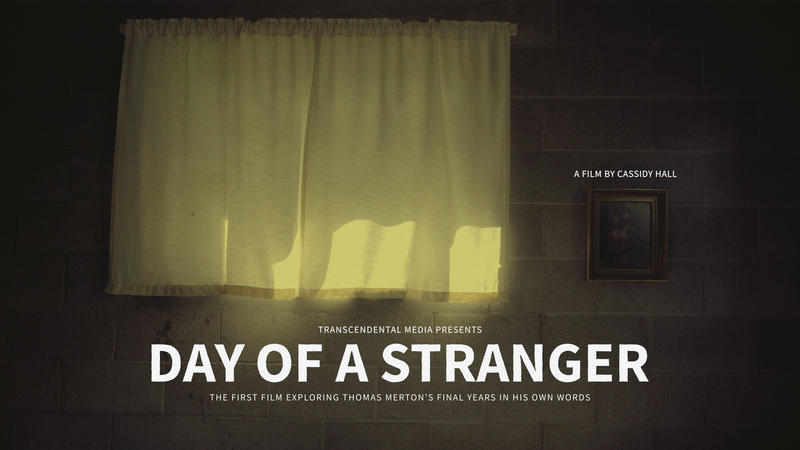 This film, my directorial debut, is a project not only birthed from the silence but one that has emerged from the absurdity that points to clarity of Thomas Merton’s essays and meditative photographs—especially the combination of those selected and printed in Day of a Stranger. Patrick and I spent hours mulling over images, audio, and text as we began to approach the idea and then receive permission to film at the hermitage on the Gethsemani Abbey property. This short film will expand on these notions using the nearly 150 hours of audio Merton recorded from within the hermitage walls. His journal readings, Gregorian chants, comments on weather and birds, jazz meditations, priestly notations, and more will accompany the sights and natural sounds of this mystical monastic space. In an attempt to capture the hermitage in its many forms, Patrick and I are raising funds to secure a winter trip for further filming. For more about how you can both see the film and help to to our support page. From watching this film, it is my hope that the viewer will gain an understanding for the hermitage within—the vast interior spaciousness of our lives. It is my hope that the life of one man in the woods reminds us all of the silence and solitude that is the ground on which we find the meeting place for our true selves. Archival photographs ©The Merton Legacy Trust. Used with permission of The Thomas Merton Center.